Parrasch Heijnen Gallery is pleased to present Sara Gernsbacher: Threefold Body, an exhibition of new works by the Los Angeles based artist. Sara Gernsbacher creates fixed, yet tangibly malleable silicone images activated by the space they inhabit. Gernsbacher’s wall works exude sensuality not only in tactility but also in contours and roughness of shape. The artist’s free-flowing and organic forms develop from a controlled pour technique that are often then spray-painted, trimmed and over-layed, resulting in a physical experience that arouses a multidimensional presence. Gernsbacher depicts figures and objects in the same spontaneous manner. There is no definitive structure; only an immediate moment dissected and re-imagined in an amalgamation. Her pieces float against the wall, occasionally leaning onto the surface but are ultimately supported by a few points, leaving both the work and the viewer free to shift and transform perspective. Gernsbacher’s balance of flesh tones and vibrant colors are as bold as her symbolism: holes represent energy flowing through the works, triggering the space and the violence that is felt when something is abruptly taken away from pure forms; legs, indicative of two imperfect parts meeting as one, encompass an emotional space; flowers challenge conventional ideas of femininity where the grime and evidence of the studio floor leaves marks upon their innocent petals, relieving them of their bolstered ego; window frames invite the viewer to think about what is beyond the wall, providing a space for mindful contemplation of surroundings. Concurrently on view in the front space is a pairing of early sculptures by Bruce Nauman (b. 1941) in direct historic conversation with Sara Gernsbacher: Threefold Body. The relationship focuses on wall-mounted forms using non-classical materials to provoke and engage viewers on multiple sensory levels. Sara Gernsbacher (b. 1989) received a B.A. from Bard College and has been included in exhibitions at Shoot The Lobster, New York, NY; Roberts and Tilton, Los Angeles, CA; MoCA Tucson, Tuscon, AZ; and Ballroom Marfa, Marfa, TX. She was awarded a 2016 Shandaken: Storm King residency (Storm King Art Center, Cornwall, NY). 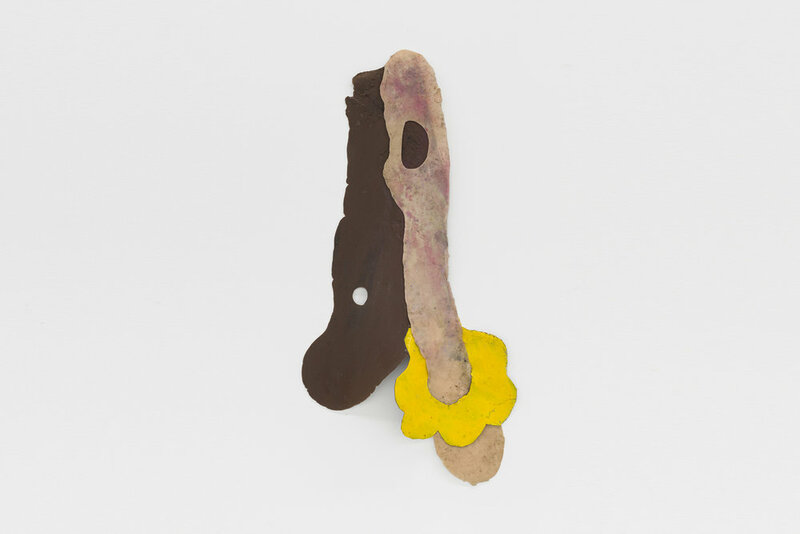 Sara Gernsbacher: Threefold Body will be on view at Parrasch Heijnen Gallery, 1326 S. Boyle Avenue, Los Angeles, from November 17, 2018 - January 26, 2019, with an opening reception taking place on November 17, from 6 - 8p. For more information, please contact the gallery at +1 (323) 943-9373 or info@parraschheijnen.com.